Learn how to lessen the effect of an inordinately high rake with these five adjustments. What can you do to minimize the impact of a high rake on your bottom line? Follow these five steps. Poker rooms are increasing their rakes. Justified or not, it is a fact of poker life. Players aren't well organized enough to fight back. Few care about it enough to exert any pressure on the room. What, then, can the educated poker consumer do to diminish the corrosive impact of an increased rake? You can choose not to play, of course. You can try to organize or find a good home game with no rake — good luck with that. Depending on where you live and play, that may be illegal, risky, or just extremely difficult. You may well come to realize that the money poker rooms charge players is well earned by them, even as it hurts our bottom line. In this article I start with the assumption that you regularly play in a room with a relatively high rake. What can you do to minimize the impact of that rake on your bottom line? There are chiefly five adjustments that you can make to your game. Some of these are broad sweeping changes in intent, while others are more specific. I list them all below, and explain how you can apply them. The rake diminishes, as a percentage of the pot, as the pot grows beyond the size necessary for the maximum rake. For example, in a room with a 10 percent, $6 maximum rake taken in dollar increments, any pot of $10 on up to $60 will be raked the full 10 percent. However, a pot greater than $60 will be raked at less than 10 percent. And the larger the pot is beyond that, the lower the percentage of the pot will be raked. In other words, a $60 pot is raked at $6, exactly 10 percent. Meanwhile a $120 pot is also raked at the maximum $6, which is 5 percent of the pot. And a $600 pot would also be raked at $6 or just at 1 percent of the pot. In the above situation, in order to diminish the percentage of the pot that is raked, be less inclined to play if the pot is likely to be small and more inclined play in hands that you think are likely to exceed $60 — the larger the better (provided you win them, of course). Toward the end of avoiding small pots, in highly raked games you surely want to avoid pots that are from the onset heads-up contests. There are two reasons for this. One is because two-person pots are likely to be smaller than multi-way hands. But the other is that the house advantage has its most pernicious impact in heads-up pots. This is because the pot is raked based on its total size, not the amount that you are actually winning. For example, if you win a heads-up pot of $60 and the house rakes 10 percent up to $6, then the pot has been raked 10 percent, but your winnings have been raked at 20 percent (i.e., $6 from the $30 your opponent contributed)! On the other hand, if the $60 pot is a 6-way hand, then you are only having 12 percent of your winnings raked, since you only contributed $10 and are winning $50. (Realize that this is very different from having a hand that begins multi-way but concludes heads up. In a situation like that, since the money went in from many people, the rake will still be a smaller percentage of your winnings than in hands that are heads-up from the beginning). In an unraked game, it may be advantageous for you to sit in a game with opponents who are short-stacked, depending on how they play and whether you can exploit that play. For example, if the short stacks are extremely passive and timid, you can often have an extremely good session by being aggressive in the right spots, regardless of your hand, and getting them to release their hands, giving you small but consistent wins. But in a heavily raked game, this strategy is rarely effective since the huge drain of the large rake on those small pots will often diminish to zero any profit you can make. Even if you are effective with your strategy, it will be offset by a large rake. There are exceptions, of course, but generally in highly raked games you are looking to maximize the size of the pots you win, while also looking to have multi-way pots, as noted above. 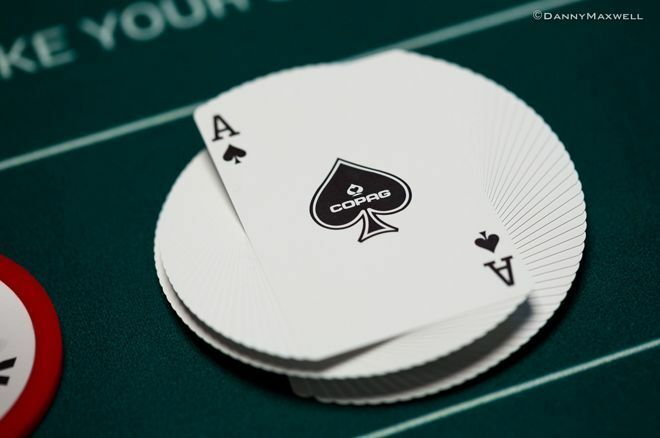 Raising preflop usually produces either smaller pots, fewer opponents, or both. True, sometimes by increasing the size of the pot early in the betting with preflop bets or raises, you end up with a significantly larger pot than you would have had if you not raised preflop. Even so, all other factors being equal, limping in to a multi-way pot may be a better course of action in a heavily raked game than it would have been had the rake been smaller. Most rooms have the "no flop, no drop" rule, meaning that if there is no flop, there is no rake no matter how large the pot size. Check to make sure. If this is the case, then a strategy of trying to steal the blinds may make sense those hands produce the only small pots that aren't raked, meaning all of the profit goes to you, not to the house. One final note is to keep an eye on the pot and the rake. Dealers make mistakes and sometimes over-rake the pot. Some dealers do this more deliberately than others. These mistakes add up. Make sure to pay attention to how much is actually being raked. With all of these considerations, bear in mind that as profit crushing as a rake may be, it should not distract you from the solid play that would have earned you a profit had their not been a rake. Your chief objective — high rake, low rake, or no rake — is to play winning poker. All of the adjustments mentioned above should be minor adjustments to that strategy. They should not dictate a radical departure from it. Put another way, don't let minimizing the impact of the rake serve as an excuse or even a good reason to adopt losing poker strategy. After all, one way to avoid having to pay any rake is to make sure to lose every pot. We can all agree that would be a pyrrhic victory over the house!